The Western Cape Education Department started a process to capacitate teachers at the Schools for the Deaf. 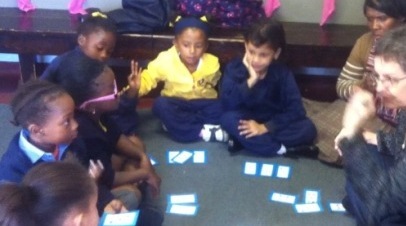 the SASL skills set of teachers and class assistants. Noluthando staff started the workshops on Tuesday 17 April. The morning session is spent with the Foundation Phase class groups. The staff component then had a two hour session from 14h00. Mary Kihn class group started on Wednesday with the staff training in the afternoon. All indicators point to an exciting 5 months ahead. The enthusiasm released thus far will be maintained by the project champions at our schools; the principals. Dominican Wittebome, Nuwe Hoop and De la Bat will soon embark on their journey. Why do we do this? We welcome your comments. 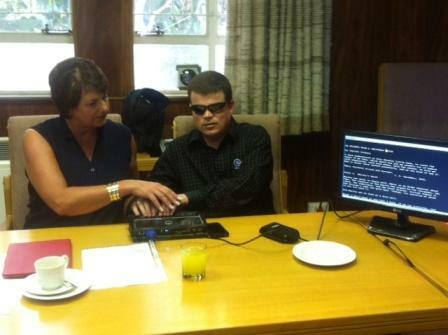 New technologies to support blind learners at the two Schools for the Blind have been supplied to the TWO Schools for the Blind in the Western Cape, South Africa. The project identified three devices, the e-braille portable computer; a device for scanning and reading printed text; and a portable MP3 player designed for blind users. 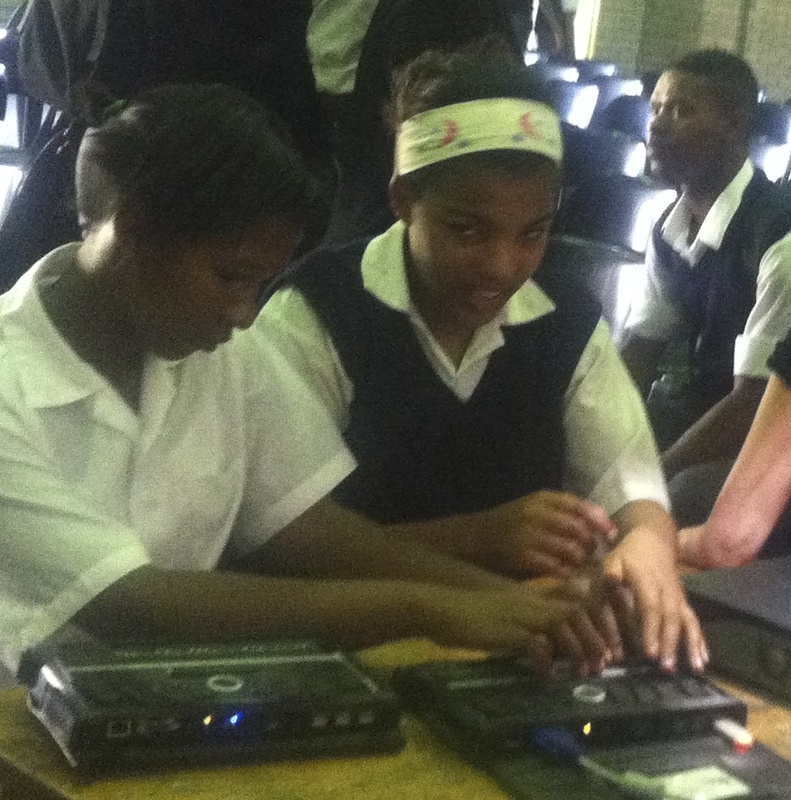 The WCED has delivered 10 e-braille portable computers to the Athlone School and five to the Pioneer School. The new devices will contribute significantly to improving access to learning and teaching materials and to quality learning by visually impaired learners. The BrailleNote Apex computers make it possible for blind learners to read electronic text using an electro-mechanical display that raises dots against a flat surface. Learners can also listen to the text via computer-generated speech. They can browse the internet via Wi-Fi and connect to other devices via Blue Tooth. 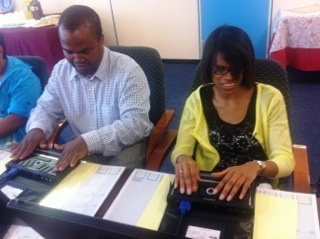 Learners can use the device to type text in braille. They can retrieve text and save their work onto flash drives for assessment. Learners can read and listen to electronic text in various formats, including pdf and Word files. Teachers can monitor how learners are using the device via an external computer monitor in alphanumeric text. Electronic versions of relevant teaching and learning materials available, including textbooks to support the implementation of the Curriculum and Assessment Policy Statement (CAPS) will be installed on these devices. The Eye-Pal Solo can scan and read text to learners via built in speakers using a natural-sounding voice. The devices, which look like small overhead projectors, capture printed text via a digital camera. The devices use optical character recognition (OCR) to convert text to speech or to provide an output for reading in braille via the e-braille computers. Portable MP3 players, called the Victor Reader Stratus 12M, have 12 keys that blind users can easily navigate to listen to e-books and to music. The teachers of both schools enjoyed orientation and training sessions. The Blind teachers especially loved the skills transfer sessions.